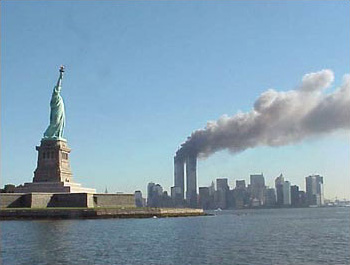 On another anniversary marking that terrible day in September of 2001, Christians must remember how we are to season and influence the world, as well as how we are to treat each other. In an article four years ago marking this fateful day, the focus was on how the aftermath of those tragic events have changed the world. Deception and terror are the predominate characteristics of our time. But how has this affected the Christian community? Christians are not distinct from the rest of men in country or language or customs. For neither do they dwell anywhere in special cities of their own nor do they use a different language, nor practice a conspicuous manner of life… But dwelling as they do in Hellenic and in barbaric cities, as each man’s lot is, and following the customs of the country in dress and food and the rest of life, the manner of conduct which they display is wonderful and confessedly beyond belief. They inhabit their own fatherland, but as sojourners; they participate in everything as citizens, and endure everything as foreigners. Every foreign country is to them a fatherland and every fatherland a foreign country… They live on the earth but their citizenship is in heaven. ~ The Epistle to Diognetus, near the end of the second century. To be “in the world but not of the world” has been a popular saying, but one not commonly followed. And this is especially critical in our attitudes and treatment of Muslims, “terrorists” (however one wishes to define the word), and fellow believers who disagree with us. Too often we see Christians treating their siblings in Christ worse than enemies of Christ, reserving gentleness for those who hate our Savior while “beating our fellow servants”. Yes, love the lost, but love the “found” even more. But we must not naïvely believe that Islam is a friend of the risen Jesus. Now of course there are many who no longer believe that Muslims did those awful deeds in 2001, but the point is that the US government retaliated against Islamic countries, and continues to this day. Yet at the same time, they have rolled out the red carpet for Muslims in the US, to the point that Muslims enjoy far greater freedom and tolerance than Christians and Jews. The Muslim world has always taken the actions of the US military as attacks upon all of Islam, whether the Christian world accepts this or not. And it is becoming increasingly clear that Muslims are being favored for positions of power here, demanding and receiving preferential treatment in society (appealing to “sensitivity” and “offense”), while even the most insignificant public expressions of Christianity are being prosecuted. We live in a time when a business can be ruined for serving bacon, and when Christians are smeared as villains for not violating their conscience on abortion or homosexuality. And the Christian community applauds. This is nothing short of spiritual cannibalism. Christians are devouring each other out of a distorted definition of love, a love which is extended to unbelievers but denied to believers. Whatever one believes about Islam or sexual deviancy, the point is that we should be treating our own spiritual siblings far better than anyone else. Love, as Paul wrote, rejoices with the truth. Jesus told those he healed or rescued from angry mobs, “Go, and sin no more”. Then how is it that we who claim to follow Jesus and accept the teachings of Paul as authoritative say instead, “Go, for their is no such thing as sin, except for standing up for truth”? If we are to honor the memories of those who were killed thirteen years ago, and all who have died since then in the never-ending wars, but above all our risen Savior, we as Christians must first of all show love for our fellow believers. Then we must show love for Jesus by keeping ourselves pure, which means not “tolerating” sin or false religion. Finally, we must love the lost enough to tell them that Jesus died and rose again, and urge them to turn to Jesus and away from all false gods and teachings.